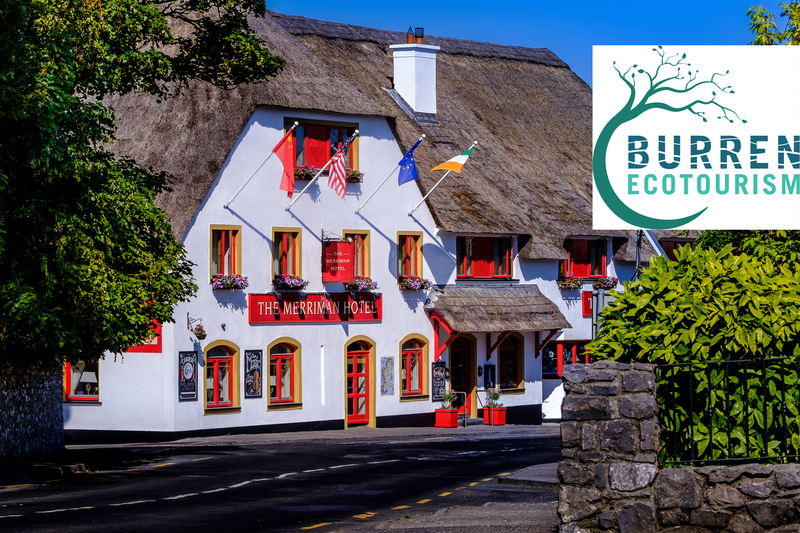 We are proud to be members of Burren Ecotourism Network, and are excited to be involved in all their activities, learning about our area of Natural beauty and understanding how to protect it for future generations. By being involved with BEN, we can offer our guests the most up to date and educated knowledge of this protected area in which we live, we as members understand how this area provides us with our livelihoods and respect what The Burren has to offer us now and in the future. Businesses listed on this site are members of the Burren Ecotourism Network (B.E.N.) and adhere to the Burren and Cliffs of Moher Geopark Code of Practice. We are committed to the promotion of responsible tourism that conserves the environment and improves the wellbeing of local people. We offer authentic experiences and can’t wait to show you how wonderful the Burren is! Come with us into the wild Burren. From Archaeology to adventure, from geology to botany, discover the pristine beaches, the limestone mountains. Uncover magical caves, hidden churches and sacred wells. Come into the wild Burren and be amazed, be captivated, be free, but most of all, respect this treasured area of ours. The aim of the Global Geoparks Network is to protect and conserve the geological heritage of our planet but to do so in way where local communities can take ownership of these areas and where they can get some sustainable economic benefit from them. Building trust and relationships with the community is a hallmark of the Burren & Cliffs of Moher Geopark’s work programme, ongoing dialogue and consultation both public and private is a feature on all projects. The Geopark had been actively involved with a number of community-based organisations within its borders, supporting them either financially or through the allocation of personnel and resources. In 2013 the Geopark held a Gala Celebration Evening to acknowledge the contributions and achievements of numerous groups. During the Gala Celebration Evening the Geopark recognized the work and achievements of the community in conservation, learning and festivals & events.The Burren and Cliffs of Moher Geopark has been recognised as a Global leader in sustainable destination development.